My friend Ato, who works in the industry and is pretty savvy with his predictions – albeit as a broadcast television track and field analyst – told me this past spring that in 10 years journalism will not even be a college major. It hurt to hear that, but my relentless job hunt convinces me that as usual, Ato’s words will come to pass. Still, I can’t imagine myself being happy in another career besides journalism. From my first foray in the newsroom more than 15 years ago leading to 10 years as a full-time reporter, to this day there are few things in this world that give me joy like being on the beat as a journalist. So I’ll keep the hustle on as a freelance writer, while aggressively seeking that dream job. It’s a task far less dramatic than trying to find love. hunt. 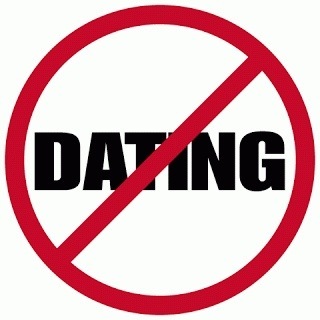 But I might have to re-evaluate my cherished friendships; I’m convinced my friends have conspired to torture me by persuading me to do this thing called dating, online dating to be more specific. Clearly, dating is not something a dear friend recommends for another. I got three responses to my job seeking ad. Each was considered spam. I kept checking my junk folder thinking perhaps the responses were going there. Surely, at least one recruiter would reach out to me? Nothing! What about my posting in the personals? I lost count after the first 100 responses, but I’m guessing I got at least double that number. From men with PhD’s from Ivy League schools to 20-somethings – more than 10 years my junior – the response to my personal ad was overwhelming. Men of every race and profession, from lawyers to technicians, restaurant owners, college professors, tattoo artists, engineers, advertising execs, teachers, and even students wrote me. Several of them said that they thought my ad was “refreshing, intriguing, classy”. Some of them even claimed that I was “the one” for them. This was without even knowing what I looked like! I have yet to respond to all the emails, but I have started conversations with a few of the guys and we’ve exchanged photos. Some men simply vanished after the first couple emails, others gave me their numbers, exact locations, job information etc, to verify that they’re “real.” I have yet to call or to meet any of them in person. Honestly, despite their many well-written emails, their eagerness and professed glowing attributes, only about two of the men genuinely piqued my interest. They, however, were not the most memorable. It’s Craigslist after all, so of course I got a few of the typical CL responses. One man sent the subtlest suggestion. I’d said in my ad that I was black, so he decided that we should work on racial integration and lest I subscribed to any myths about white men, he attached a photo of his large “endowment,” with which he said I must unite. Another man was equally bashful, citing that he was married, but a small matter like that should not stop us from copulating. The response that carried the most weight came from a man who eloquently wrote and attached a full-body photo saying he was exactly what I was seeking and more. I stared in amazement at his smiling image, the confidence with which he embraced the camera, the way his physique filled out his clothing, his blond hair, and beautiful blue eyes. Oh yes, he had indeed exceeded my expectations and no doubt looked like a man that deserved a whole lot of love! I thought of all the love deep within my petite five-foot -two -inches-120 lbs-frame and I knew it would just never be enough for this plus plus plus plus plus size man. Stay tuned on for part two of this series “I Still Hate Dating” for highlights of my experiences on BPM, where I met the man who scared the ish out of me! Girl, you make me laugh. That you’re brave enough to try online dating is quite amazing, at least to me. Perhaps I’m projecting my Caribbean senseabilities onto this but I must ask, whatever happened to just meeting persons in the places you go? Church, job, neighbourhood, gym, etc? Good luck to you in your dating endeavors my sister. Re your job hunt have you perhaps considered creating your own space? You’ve certainly got the proper background and the gravity with which to do it. Keep I man posted seen!! Bless!! YAS! Create your OWN. You’re a go-getter, intelligent and well-qualified. Wuh gine on Carlos? Thanks as always for reading and for your feedback. Perhaps it’s the complete difference in cultures in the two countries, but there’s nothing unusual or “brave” about online dating. It’s plain and simple convention in 2013 and even years before. But that does not mean that it negates traditional methods of meeting people. Plus, you know as I’m gregarious/social as they come so it’s not difficult for me to make connections at any said venue you mention. Do I mean prospective suitors at these places? Hardly ever. And that’s not just a challenge for me, but for scores of men and women I know. Absolutely normal and well marketable professionals are using online with more frequency nowadays. As with meeting anyone in person, of course one must proceed with “vigilance”/caution when meeting people via online dating. Take some time and do a little research on the matter and you’ll see it’s pretty much a way of life for thousands of people not just in the US but across the globe. As for my job prospects, for several different reasons your suggestion for creating my own space is not just unrealistic at present but also not beneficial toward certain future goals. I’ll have to elaborate offline. Great piece! However, I want to suggest that you ease the jib a bit. Step away from the issue for a brief moment. Forget about these dating sites. Visit parks, beaches, places where people mingle freely and you will be surprised that in these areas you can meet others who have what it takes to change your world, forever. Thanks for reading and commenting Uncle Rush. As I explained in my previous comment to Carlos, there’s nothing wrong with online dating. Additionally, I already socialize at places you mention and more. I think one has to live within this culture and experience certain realities here to fully grasp the concept of online dating etc. Plus, my experience in dating as a mid 30-something woman differs significantly than a woman 10 years my junior or even a man my age. It’s a tricky age at which to be seeking long-term relationship/marriage. That’s another post in itself lol! But I’ve found that’s better to give myself as many reasonable options as possible to meet people. One important thing to note, is that online dating, like said places you mentioned is simply just another option for meeting people; one that is proving more and more successful in thousands of people finding suitable and even lifelong mates. Always love your blogs! And I have to agree with Rush. Do meetups and other activities. Also, oftentimes when we “look” for love or a partner, we don’t find, or we find a bunch of crap. Quite a large pressure on oneself to try to find a man AND a job. I’m excited to read part 2 because my question is: How does job-seeking and the stresses of that affect a new relationship? My ex was unemployed and his issues destroyed our relationship. I tried to help, be supportive, back off and it did NOT work. It was the demise of our relationship. So I’m hoping you will have a different experience. The stress of job seeking while accommodating another person in a relationship can be quite overwhelming. Girl I’d say focus on the job search and let the man be a nice by-product or lower priority. Thanks soo much – as always for reading and for your feedback. I responded to Uncle Rush regarding meeting people at social events, but just to reiterate, I already go to such gatherings and I’m an active member of a few meet up groups. Those events while great for meeting folks, don’t necessarily mean that they provide better options for meeting mates. As I also said to my uncle, online dating is simply an option and not my sole means of seeking love. Just to be clear, my job hunt is my priority. But honestly, would you rather read solely about my arduous job hunt or would you rather hear crazy stories about dating? Lol! I’m ultra focused on finding work, but unfortunately as I told Carlos, “creating my own space” is not feasible at present – for several different reasons that I’m unable to explain via this medium. My dating/looking for love in no way affects my job hunt and I think it’s best considering my age among a few more things – and I’m in no way desperate – to keep an eye open to love! ;-) And funny enough, some of the experiences help to alleviate the stress of the job hunt lol! i LOVE this post! i am SO with you! Thanks for this post :-). The whole thing was a good read, but the last lines in particular just slayed me, lol. I have to say, it’s refreshing that you’re gutsy enough to describe your experiences with two quite difficult quests openly, and in such a balanced way. I hope we get to hear how the interactions with the decent CL guys turn out! Addressing these issues is in several ways, both challenging and cathartic. I’ll definitely have to see if I can do a short piece on the “good CL guys” lol! Maquita… I missed your posts. Hope you had refreshing time off. You’re killing me with the “plus plus etc.” sized love connector! I think that more worthwhile connections can be made in arbitrary situations. My wife loves HGTV, and many of the couples on the various shows that are house-shopping all state that they met at a wedding, or a friend’s barbecue, or at the supermarket. Just keep being social, and keep it real (you’re from Barbados, and we keep it real). I think you have a lot to offer a partner – you’re smart and intelligent and beautiful. That is what guys need to experience, not your description on a site. As for your job search, perhaps you need to widen your search. You said that journalism is changing, so you may need to change with it. You are intelligent and creative enough (a journalist, after all!) to analyze what is going on in your chosen industry, and evolve. I know you can do it. Lol! Thanks Neil, glad you were entertained! Yes, I had a refreshing break!